IMPORTANT: Polka Dot Birthday Hat template will be slightly modified from the images used in this listing. You'll receive a printable digital pdf template and assembly instructions; you will not receive a fully assembled, physical box. 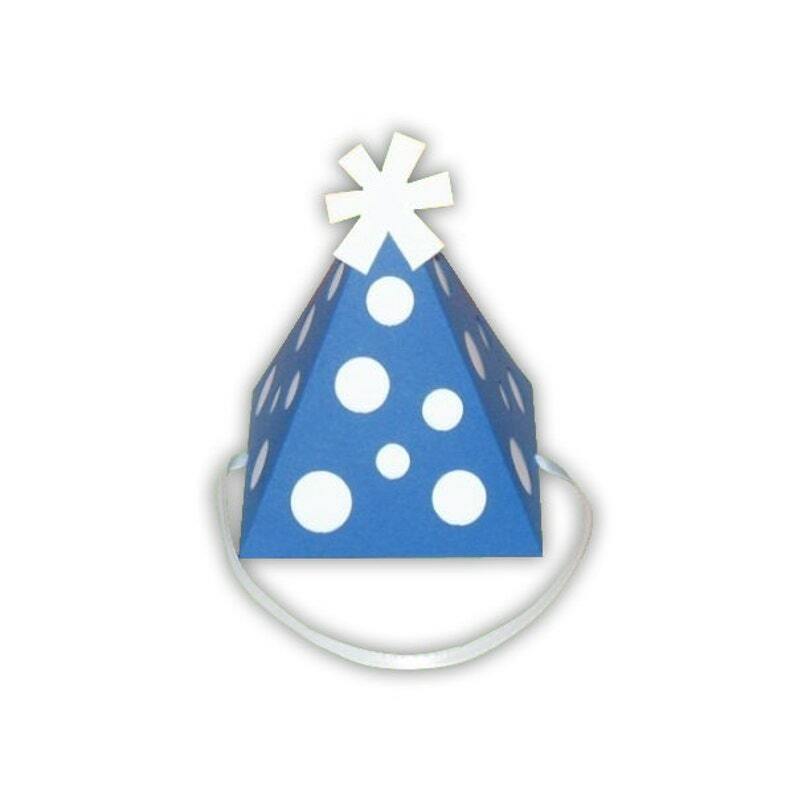 This hat is perfect for any birthday party! It's sure to add a fun touch to your event. Fill with candy or little toys. Plus, you can get it in pretty much any color—see our color chart. Choose Your Colors: since our digital PDF files can not be modified please select your color choice for the Birthday Hat and Dots/Embellishment when adding the template to your shopping cart. If you have a specific color combination in mind that we don't offer please contact us and we'll gladly try to accommodate your request. Image Colors Shown in this specific listing: Blue Birthday Hat & White Dots/Embellishment.